Britain at it's best, bringing you it's own version of IMM! All the books that came through my letterbox thanks to publishers and Royal Mail! Also all the books I have bought this week - as if I didn't have enough. Broken Illusions by Ellie James is the second book in the Shattered Dreams trilogy which is set in post hurricane New Orleans. This will be published on January 2012 by Quercus. The London Stone by Sarah Silverwood is the third book in The Nowhere Chronicles and will be published on the 6th December by Indigo. Hidden by Marianne Curley is the first book in the Avena series. This author's debut novel was Old Magic,since then the author has also given us The Guardians of Time trilogy too. Hidden will be published in March by Bloomsbury. Because It Is My Blood by Gabrielle Zevin is the second part of the Birthright series. The first book was published last year and I absolutely loved it. This will be published in March 2013,. Burning Bright by Sophie McKenzie is the second part of the author's four part romance series. 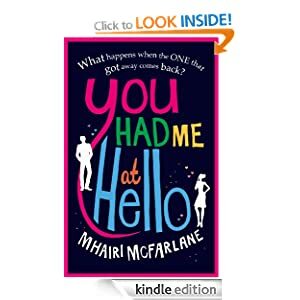 I loved Falling Fast when it was published last year and was quite taken with Flynn! This will be published in January 2013. Skylark by Meagan Spooner will be published in February 2013. From what I have read, I think this book is dystopian. Fins Are Forever by Tera Lynn Childs is the second book in this series. I read the first one, Forgive My Fins a couple of weeks ago. So I am looking forward to reading this before the third book is published. Sweet Venom by Tera Lynn Childs is a new series from the author who brought us the Forgive My Fins series. This book follows three descendants of Medusa and was published earlier in the year. The Day I Met Suzie by Chris Higgins. This author was shortlisted for the Queen of Teen. Her previous books are about to have a complete makeover, so watch out for this author. 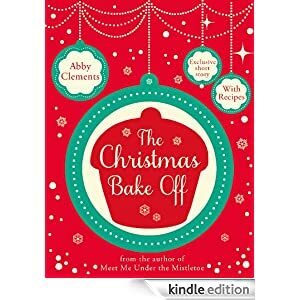 This book will be published in March 2013 by Hodder Children's Books. Beyond is a scary Stephen King style novel aimed at the YA market and will be published in January 2013. After really enjoying Blood Brothers, the first book in the Signs of Seven series by Nora Roberts, I hot footed it to the library to pick up the final two books in the series. I have to know what will happen. The Hollow and The Pagan Stone will be an enjoyable read. I also picked up One Perfect Summer by Paige Toon as I keep meaning to read a book by this author. I bought the uncensored version of The Vincent Boys and read it the same day. I can highly recommend this book! On Dublin Street was a recommendation from @Bookangel_Emma. She keeps finding amazing books at the moment! I had seen this one around the blogosphere and I was quite taken by the title. So those are all the books that entered my house this week! What did you get? Some great books you've got there! I love your header by the way! Wow! It'll be hard to decide which one to read first! So many great books! I keep hearing about The Vincent boys, I'll be curious to hear your thought on it. Enjoy your new books!